What makes Rise & Fall so popular? Will you RISE above them all or FALL by the way side! 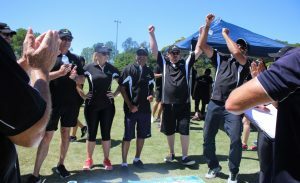 It’s all about fun, strategy, twists and turns and lots of nail biting moments as teams endeavour to climb the corporate ladder and Rise above the rest and avoid the snakes which will see them Fall to the bottom of the game board. The program begins with teams participating in a fun activity challenge. Based on where they finished in this challenge, teams will then advance 1-6 places on the Rise & Fall game board. Teams watch in anticipation to see if this has resulted in a benefit by allowing them to climb the corporate ladder(Rise); further advancing their team’s position on the game board or whether they were hit by the snake causing them to slide (Fall) down the game board putting them behind some or all the other teams. Rise & Fall it’s the ultimate strategy and reward program! Now it’s time for the next challenge, but this time teams need to evaluate their strategy as they may not want to win this challenge but prefer a middle of the road finish that will enable them to land on the corporate ladder to leap frog the competition, but of course there is always a twist! The first placed team receives a swap card, if they use it, this allows them to swap the amount of places they would need to advance with another team which could see them get a massive advantage and cause chaos for another team. Whose strategy will pay off? Strategy, planning and teamwork is the recipe for success! 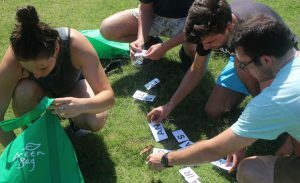 The activity challenges continue with teams planning and executing their strategy and hoping that a little bit of luck goes their way so that they can be first team to the top of the game board and win! With over 25 Rise & Fall challenges to pick from we will tailor a program that suits your outcomes and timeframes. Olympic Relay and much more! 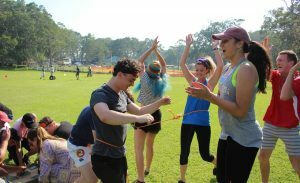 This team building activity is fun and exciting and can literally be enjoyed by anyone. It doesn’t require any special skills and is highly interactive and has an intensity level of low to medium. It’s full of nail biting moments as teams endeavour to execute a strategy that will see them as the team that Rises above all to be crowned the ultimate champions! We suggest a minimum of 10 people for this program which allows up to 3 teams to participate. The maximum group size can be anwhere up to about 150 people if you like with team sizes of 7-9 people.